This luminaire is compatible with bulbs of the energy classes A++ to E.
Sylvania Fire Rated Fixed GU10 Downlight Brushed Steel is rated 4.3 out of 5 by 13. Rated 5 out of 5 by Martyn79 from Great Downlights I have loads of these in my house, and bought these chrome ones for a family member. They are easy to install, and look neat and professional. Rated 5 out of 5 by Bobby87 from Great Quality Downlight Great quality downlights. Well worth the money. A side note that the levers and springs to hold them in place are a little over powered and it can make them a bit awkward to fit if you don’t have access from above. Rated 5 out of 5 by chancer12 from easy peasy great light, easy wired,good instructions. Rated 4 out of 5 by SteveSquirrel from Very strong clips I really liked the quality and size, I had no problems inserting bulbs, however I was worried about trying to get them out again, so I tested on a spare bit of plaster board, no chance! so I took them back. 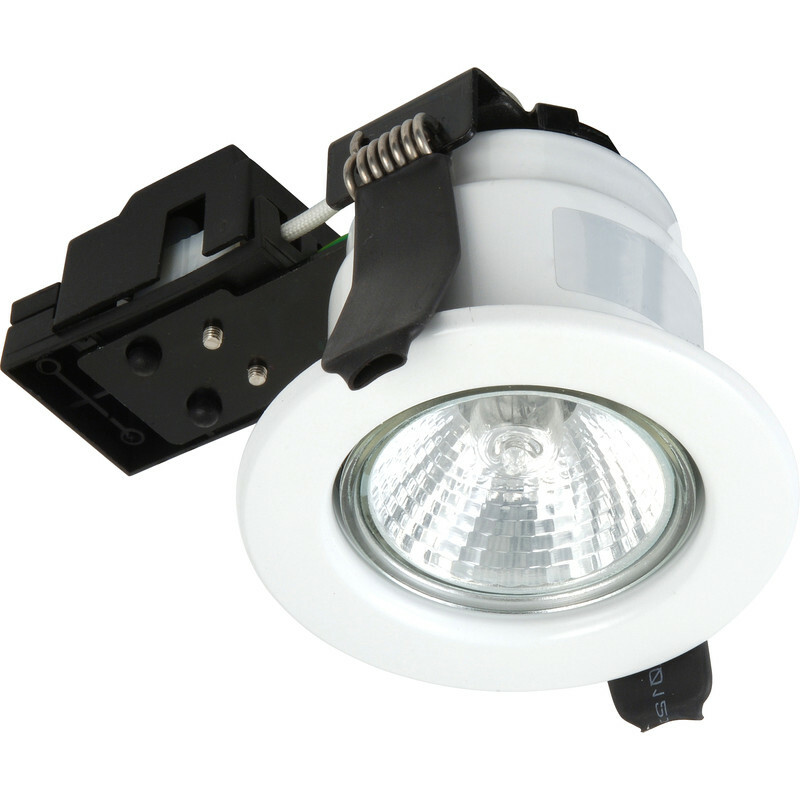 Rated 5 out of 5 by croburt from Neat unit Neat well made downlight that looks very smart. Fitting of LED lamps a bit fiddly but OK if fitted before installation. More shallow than other products and fits well between attic joists. Purchased two for study., Very satisfied and bought four more for other locations. Rated 4 out of 5 by oldsparkyUK from Great little fittings These seem a great little downlighter, fitted all 4 that I brought with little fun, biggest problem is getting the lamp lined up as others have said the plastic sucker thing is of little use and I found 2 finger was the way to go. I do like the screw connectors not stupid push in connections, wouldn't want to have to loop connect as very little room to place cables. After 2 weeks the look good and work fine.